René van der Wouden: the sympathetic EM-artist from the Netherlands would be performing 'upstairs', in a more intimate setting than the main hall in the theatre. His role was being more of a 'support act', performing at the start of the festival and during the breaks. Matzumi, a talented young lady from Germany, winner of the Schallwende best newcomer in 2010 award; her somewhat melancholic music enhanced by her vocals tends to mesmerize you instantly. Eric van der Heijden & friends (nephew Harold van der Heijden on drums and Frank Dorittke on guitar). With his new CD, Dal Segno, Eric proves yet again he is one of the driving forces keeping the EM scene in the Netherlands alive and kicking. 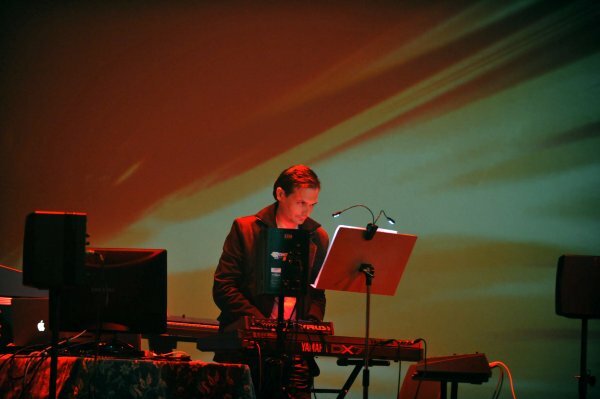 LOOM: the long awaited return of former Tangerine Dream keyboardist Johannes Schmoelling to the stage. 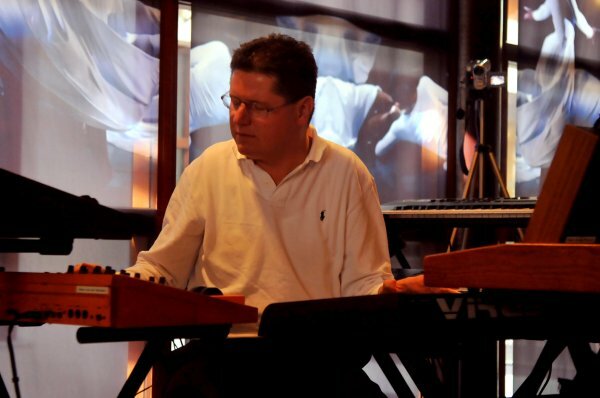 For this project he was approached by the son of current Tangerine Dream leader Edgar Froese and also a former member of that same Tangerine Dream: Jerome Froese and one of the best known producers in Berlin, Robert Waters. René van der Wouden opens the festival with his melodic EM, rhythmic, catchy and seemingly quite structured. No dance rhythms or heavy beats, just nice melodies, often based on a sequence while most of the solos are coming from the moog. Matzumi , the long haired lady from Germany is fond of hardware synths and she claims all sounds are coming from 'real' synthesizers and not from her lap top. 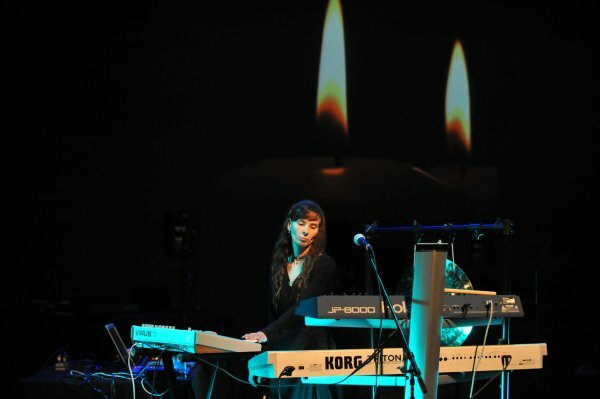 She composes from an early age on and grew fond of electronic music at a young age. Her performance was somewhat static but the images behind her on the big screen matched the music perfectly. Her music flows like a river, always smoothly running through pastures and plains. Subtle percussion, mesmerizing melodies and sometimes she uses her voice as well, but merely sounds, not words. In my opinion there are definitely some oriental influences. A sort of strange mix of Vangelis, Enya and Azuma. Her style is 'ambient meets melodic EM'. Maybe a bit shy, but all of a sudden performing for a crowd of 350 people would make most musicians nervous! Her show went down very well an d a lot of the visitors went to her booth after her performance to buy one or more of her albums. After the first break it was veteran musician Eric van der Heijden, playing together with his 'friends' Harold van der Heijden on (syn)drums and Frank Dorittke on guitar. His first real solo album to my knowledge was Universal Time Zone (1991) so at least two decades of electronic music to his credit already. 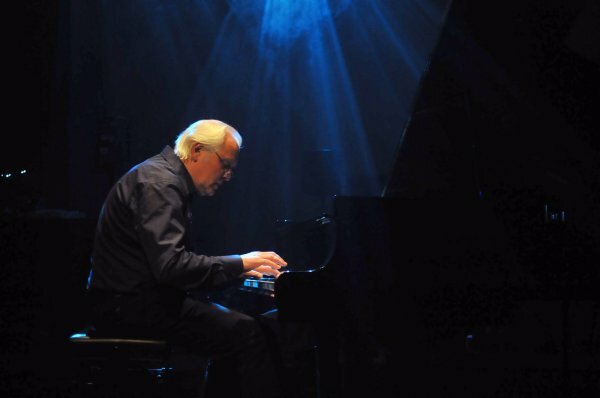 Although Eric released several albums in his career, among others with his buddy Ron Boots, his last album dates from 2003 (Cosmic Flight No 3), it was a pleasure to see him perform live again and present his new album Dal Segno at the same time. The contributions by his nephew Harold van der Heijden and his friend Frank Dorittke gave Eric's music a symphonic touch which I didn't mind at all. His melodic and sometimes a bit theatrical music went down well too and an encore was granted to him. After a very long break of several hours (too long to my taste) the main event: LOOM. 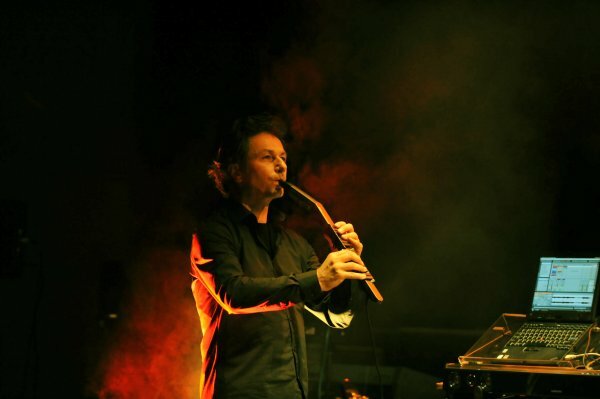 After 20 years the ecstatic crowd could welcome former Tangerine Dream member Johannes Schmoelling to the stage. He started of playing solo on the grand piano and although there was an occasional tiny mishit, the music was awesome and it became clear immediately that we were witnessing an extraordinary performance. 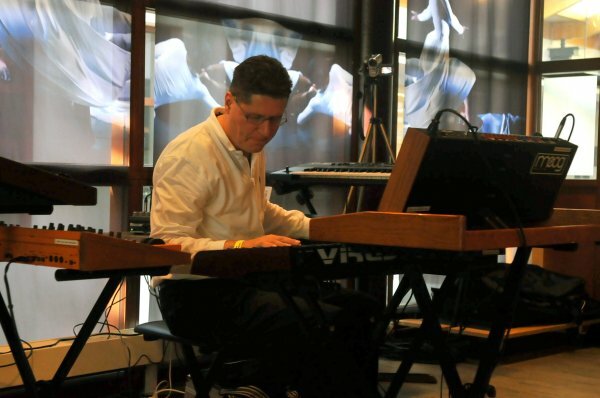 This musician knows his way on the keyboard very well still in spite of being in his sixties. After his solo performance Johannes moved to the left of the stage where he played chords and leads alternating Jerome Froese solos on the guitar, while Robert Waters provided all other sounds. Songs from Schmoelling, Jerome Froese and ...... Tangerine Dream. Especially tunes like Choronzon brought back extremely good memories because this was the period I liked Tangerine Dream most. Schmoelling explained that he waited a while before accepting the invitation by Froese and Waters and I think both LOOM and the audience were delighted he did eventually. Froese had to sit down because of an aching leg, so the performance was a bit static but the music, the way he played his guitar and the superb sound quality proved to be more than enough compensation. After two encores it was all over and nearly midnight. We will be eagerly anticipating the live CD (and/or DVD) of this show. It must be hard for Boots to find another venue in his neighborhood because 'de Enck' is a very nice venue indeed, but maybe a bit too small if you have acts like LOOM and only one decent concert hall. The stalls were okay, although I would have loved something like a second hand market. It was nice to see artists like Robert Fox, Remy in their consecutive booths. On the other hand I came home with several new albums: Time And Tide by Johannes Schmoelling, the new album Transitions by Patrick O'Hearn and Apollo by Synth.nl and the Void offering Avoidance which I will be reviewing for the Dutch Magazine iO Pages. Maybe next time less time for breaks or maybe more 'support acts'? One thing is certain this E-Live festival has been a big success and hopefully it will light the fire for the next festival: E-Day, April 28 also in Oirschot at the Enck theatre.